Lock up the pork belly! 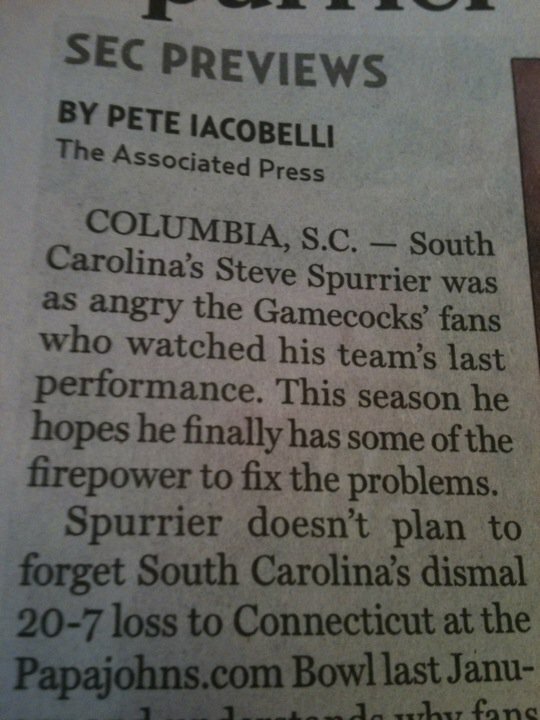 It was in the Savannah Morning News, of course, but what is worse than that is that it is an AP story. So it made it through the AP editors AND the ones at the SMN. According to Elizabeth, her mom ripped this page out of the menu. It is probably a good thing for the restaurant. 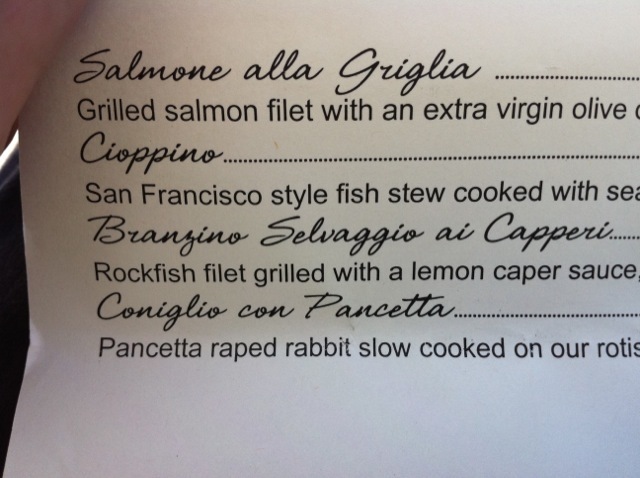 You wouldn’t want to advertise that you have a victimized rabbit. My Puff daddy failed me. I went back to get my fix, and all I heard were crickets chirping when I asked where my bags were. There were none at Store No. 9 either, and the chunky, pimply, lunch-eating clerk rudely informed me they didn’t sell well and they would not be getting any more. What’s an addict to do? Well, put out an APB to her friends, for one. If you see Flamin’ Hot Cheetos Puffs, please notify this authority immediately. Do not try to detain the suspect yourself. The suspect is considered flamed and delicious. Where’s the mini-skirt made of snake skin? And who’s the other guy that’s singing in Van Halen? When did reality become TV? Please make this stop, stop, stop! I can’t stop time, and I can’t go back to my 20s, so I must find joy in the present. And in the present, I find joy in little things. Here’s a non-comprehensive list in no particular order of 50 things of things that make me happy. Doing impressions with Eddie of Tim Gunn. When Gideon yells “I love you, Mama” in crowded places. Deciding to give up hoping that certain people will stop saying mean, untrue things about Eddie and me. Realizing that my best will never be good enough for some people, and coming to terms with that (a corollary to the above). An iTunes playlist on which artists such as Lady Gaga, Will Smith, Amy Winehouse, OK Go and the Dixie Chicks live together harmoniously. That my father found a woman who makes him happy in his post-Mom life. Frito Lay is a Puff tease. Just like they did years ago, they got me hooked on the Flamin’ Hot Puffs, then took them away. You may remember my addiction. If not, here’s my confessional. I was down to my last bag, so I checked the “Where to Buy” section of the Frito Lay site. I was near two of the stores, so I went in. Both of them. Nothing. Then I checked a couple more that were not as close. I finally scored two bags at Store No. 9. Crazed, I checked at two more stores on the way home. Again, nothing. Store No. 12, the Ridhi Food Mart in Pooler, had one bag and a hookup: A manager said he would get more for me from one of their other stores. Great. Now I have a dealer. I really do have an addiction. I used to read their blog, but now the blog seems more focused on their amazing book tour. A book tour. For writing a book about noticing and fixing typos. SIGH. Maybe someday “Eats, Shoots and Lays” will be a book. But until then, I must be satisfied with noting errors on a small scale. Lucky me, there is no shortage of errors. 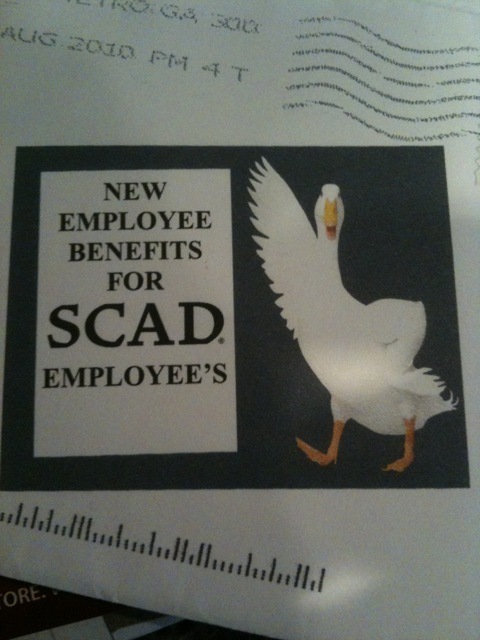 AFLAC is a fairly big company, no? So they must have some senior folks in charge of their unsolicited mailings. Well, whoever these folks are, they need to revisit the rules for apostrophes. 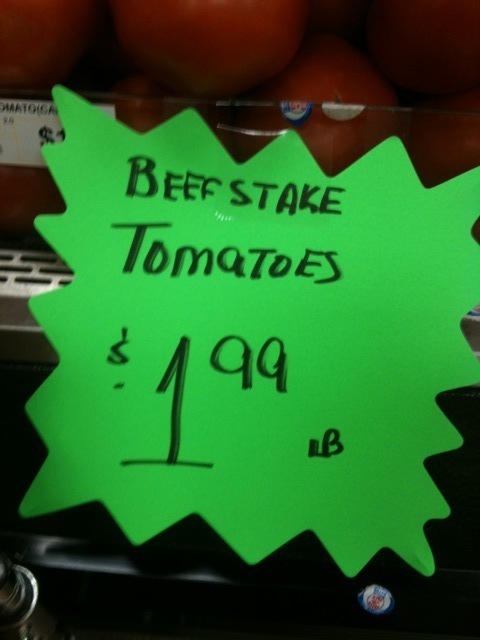 Hmm … “Beefstake” tomatoes. Like really chunky, flavorful tomatoes grown on a piece of wood stuck in the ground? 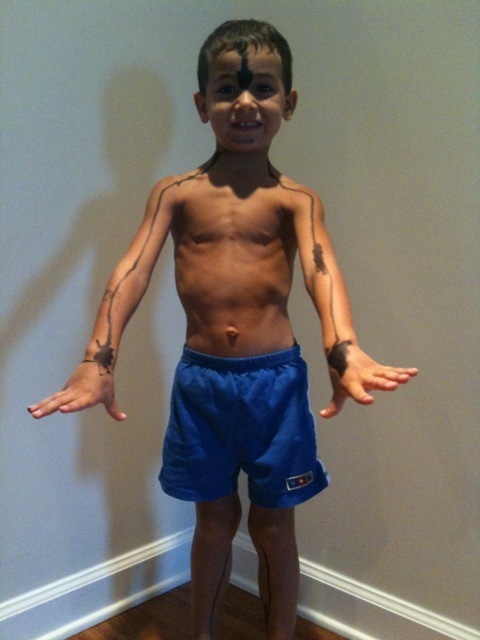 Or like “beefcake” — muscular, handsome tomatoes? Oh it’s a darn heterograph tripping up our friend in produce. “Beefsteak” is the word he/she needs. Dominic and Gideon wake up before Eddie and I do. 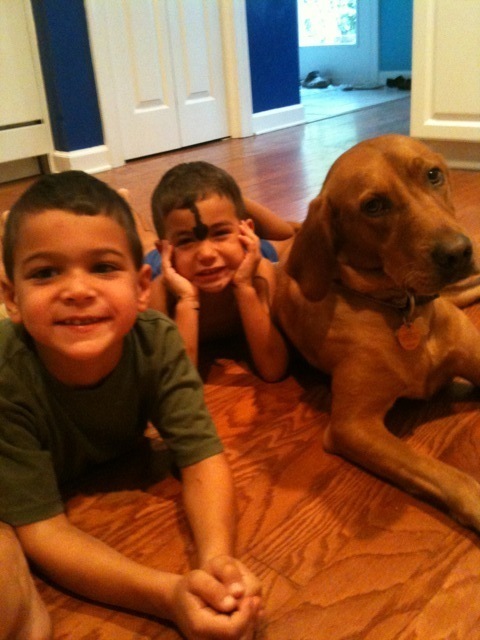 We’ve been strongly encouraging them to stay in their rooms and play quietly. This morning, Eddie left very early to open the gym. Usually, the kids are up when he leaves at 6:30. Not this morning. I was pleased, thinking they were playing quietly or still sleeping. I should have been worried. 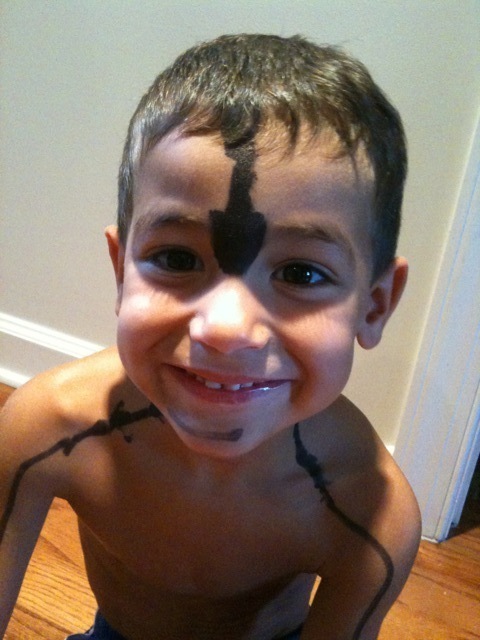 And here is Gideon as Aang. Dominic realized he had made a mistake when he saw the look on my face. He started saying he was sorry, but what could I do? I laughed. I laughed to keep from crying. I guess I should be happy he has artistic talent. Two American chicks livin’ it up for just a week. Beth is gonna be a new media star. Sophia had plenty of fun without a car. Right. So I’m not a songwriter. What I am, apparently, is an academic who finds enjoyment in conferences where people present research that might be boring to 95 percent of the population. 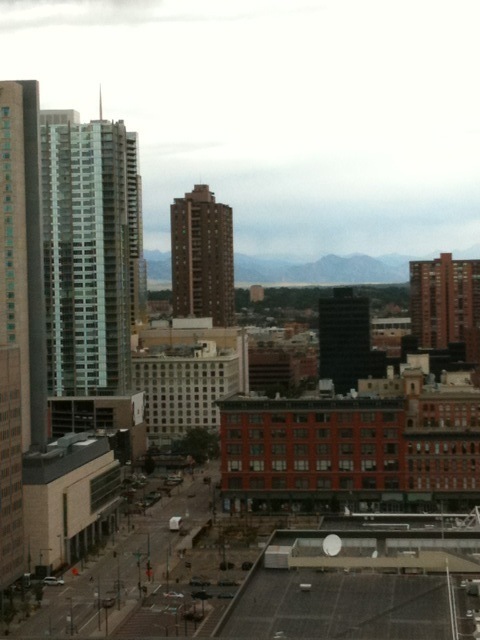 "Mile-high City" as seen from Room 2122 of the Sheraton. What made this trip even better was the presence of my friend Sophia. While I was enjoying an endless parade of panel discussions and presentations about new media, old media, social media, technology and pedagogy, Sophia was taking bike rides around the city, visiting museums, and browsing boutiques in Boulder. 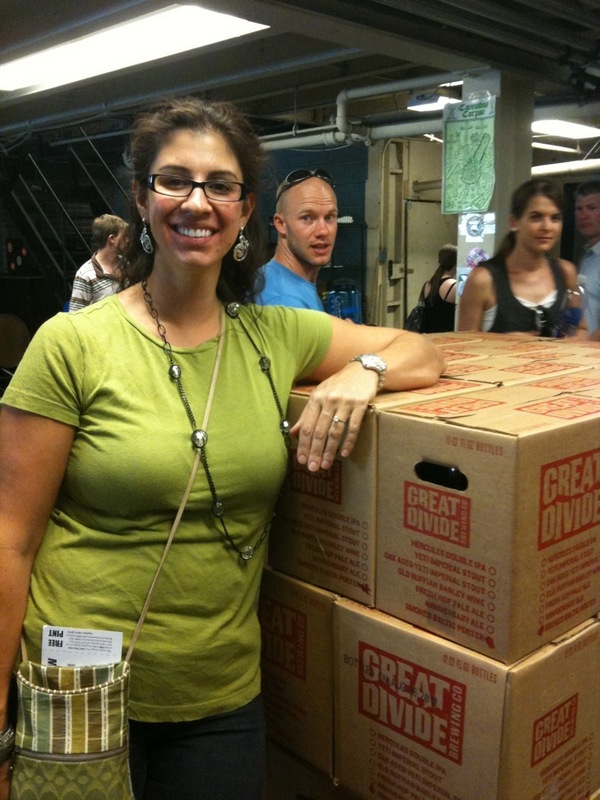 One thing we decided to do together was the Denver Microbrew Tour. We were running late and were starving, so we grabbed sandwiches to go from The Lobby, the restaurant across the street from the tour’s first stop, Great Divide. At strategic pauses during the tour portion at the Great Divide, Sophia and I took gobble breaks. Not pretty, but we didn’t want to get hammered on the tour. Sophia is holding the bag of to-go containers in her right hand. 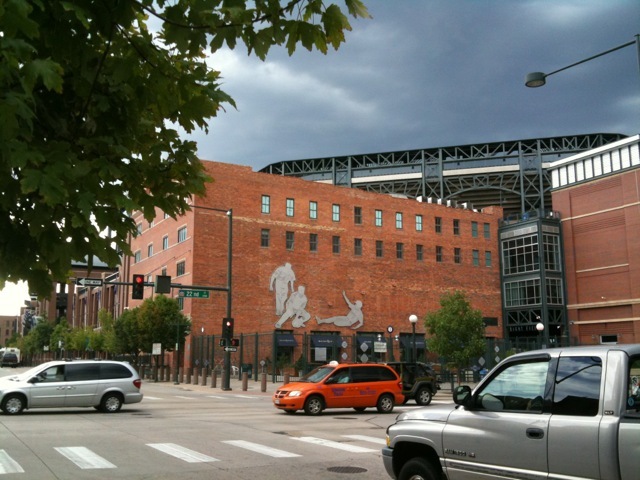 We finally finished our meal at the next stop on the tour: Breckenridge Brewery, across, ironically, from Coors Field (home of the Colorado Rockies). Up next: Wynkoop Brewing Company, home of a beer brewed with Anaheim chiles and smoked Ancho peppers. 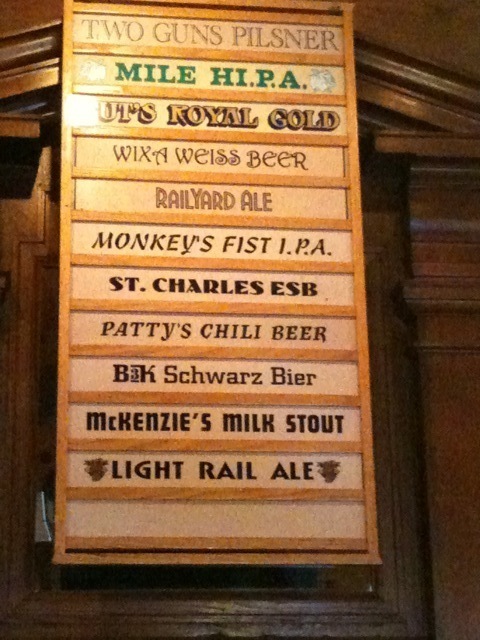 The beer is called Patty’s Chile Beer. They should change that sign. 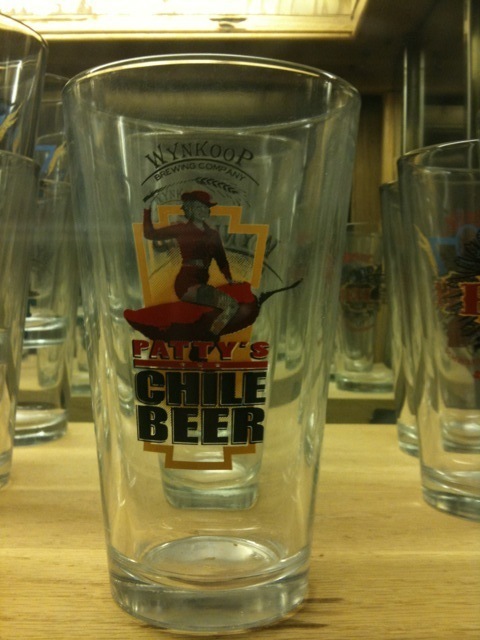 The beer is made with “chile” peppers. 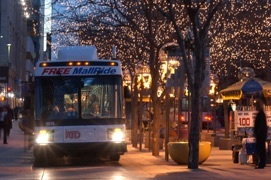 The last stop on the tour was Rock Bottom Restaurant and Brewery, which put us back on 16th Street where we caught the free MallRide back to base camp. After a short nap, we headed out again. This time, our destination was Mizuna, the restaurant that Anthony Bourdain said was the only reason to go to Colorado. I practically had to take out a second mortgage, but it was worth it: Best. Meal. Ever. Fat and happy, we headed “home” in a cab. The next day, Sophia headed home and I headed downstairs for another day of conferencing. Long after the thrill of Mizuna is gone. Long after the thrill of the conference is gone. 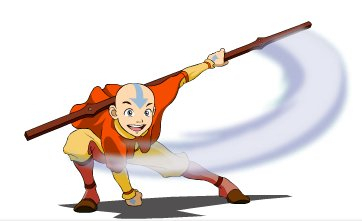 Now rock on.